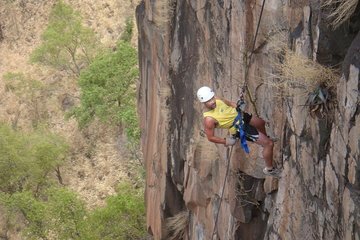 Get up close and personal with one of the world’s most famous waterfalls on this rappelling adventure tour to Victoria Falls. Head right to the foot of the mighty cascade, close enough to feel the roaring spray on your face. Tours are professionally photographed and filmed, with snapshots and videos available for purchase as an optional add-on. Cash or Credit card to purchase their amazing photos and videos.